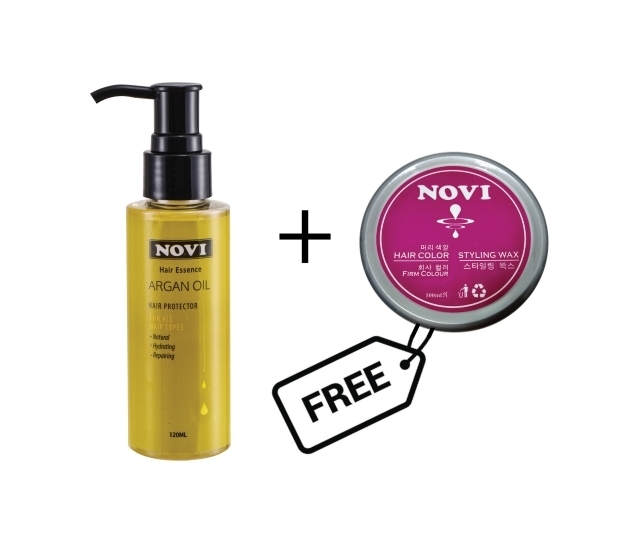 Novi Hair Essence Argan Oil is a luxurious blend which instantly penetrates the hair fibres restoring shine and softness while strengthening. This natural formulas provides lasting moisture to even the most dry and damaged hair leaving it soft, manageable and hydrating. The high concentrated of Argan Oil infused with Keratin and Omega 3 Fatty Acids make up a triple moisture system adding shine, repairing and softening hair. Apply few drops to the palm and rub hands together, evenly distribute throughout on damp hair for getting better results. Perfect treatment before and after blow drying on heat drying.